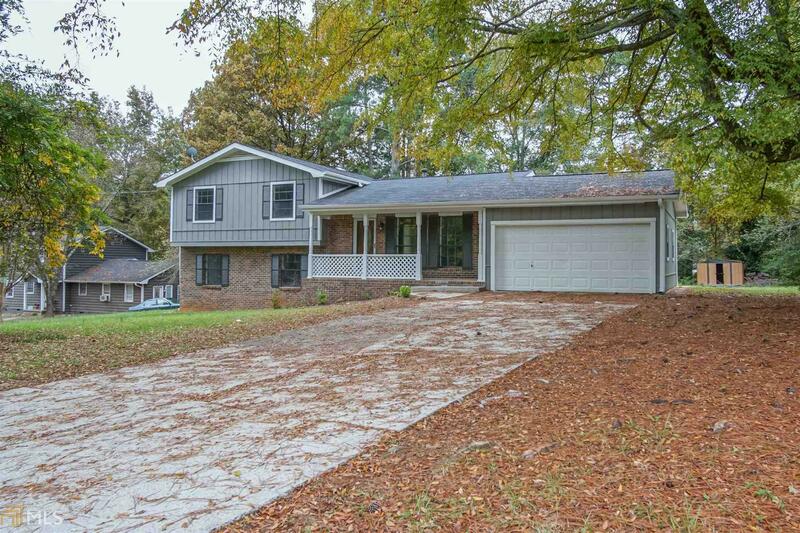 Spacious 4 bed/2 bath renovated home on over half an acre, featuring brand new HVAC (AC and heat), new paint interior and exterior, and brand new back deck. New Luxury Vinyl Plank flooring installed in living room, den, and kitchen. Updated kitchen includes new countertops, and stainless steel appliances. Separate den area boasts brick fireplace with gas starter. All bedrooms include new carpet. Huge backyard comes with outbuilding. This adorable home won&apos;t last long at this price!